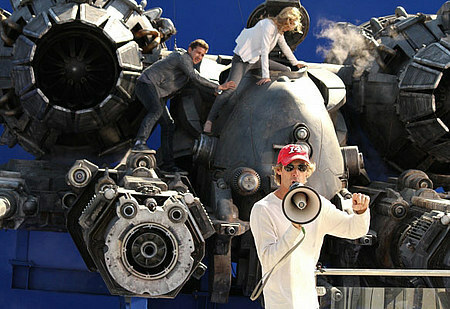 Shia & Rosie on set Transformers 3. Shia & Rosie on set Transformers 3. Wallpaper and background images in the Transformers club tagged: transformers 2011 on the set 2010 transformers 3 shia labeouf rosie huntington. This Transformers photo might contain moteur à combustion interne, de la glace, glace, lippizan, lipizzan, and lippizaner.